In this part, it is the animal sign luck or Man Luck predictions. Man luck is about each and every animal sign of us. There are total 12 animal signs in Chinese Astrology. Each of us was born with an animal sign. So what is the year of the Goat 2015 hold for us? A very important concept needs to remember first. Animal sign luck of a person is calculated by the year of birth. The animal sign does not start from Chinese New Year to the next Chinese New Year. The Chinese Animal sign of the year changes at the “Start of Spring”. It normally falls on the western calendar on the 4th or 5th February each year. A FULL Chinese Astrology reading examines NOT only the year of birth but also the birth month, the day and the birth hour together with the Luck and yearly pillars. Chinese Astrology reading focus on the day we were born. The day we were born is called the Day Master or DM. 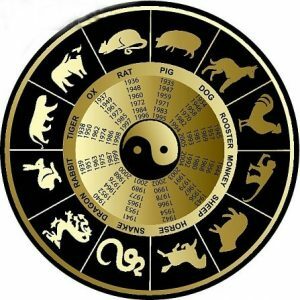 So, it is difficult to completely and fully predict just by using the animal signs or Chinese zodiac signs on how each year will affect each person individually at a very details level. Such animal sign luck astrology is not totally reliable as the system is only examined 12.5% (1/8) or in some cases 25% (1/4) of the four pillars natal chart. For more reliable assessment in all aspects of your life in year of the Goat 2015, it is recommended that you go to check your Four Pillars of Destiny fully with a reputable Chinese Astrology consultant near you. The Goat, the Ox, the Dragon and the Dog! The Heavenly Stem for 2015 is Yin Wood (乙). The Earthly Branch underneath is Wei (未).It is Earth Element and Its animal sign is Goat. The hidden elements are Yin Fire Ding (丁) and Yin wood (乙). Earth element is associated with digestive system, such as stomach, pancreas problem, food poisoning (especially meat from lamb, goat, and beef), diarrhea, muscle ache, skin, and cells disorder and so on. For people born in the year of Goat, Ox, Dog and Dragon must be paid more attention to these areas. Even though, 2015 the year of the goat is a yin Wood year, the characteristic of wood, such as persistent, stubbornness, principals keeping, stand firm can still be found among people born in the year of Goat, Ox, Dragon and Dog. Especially people were born in 1955, 1985 and 1991. The above four sensitive animal signs should pay more attention when approaching major decision making, such as signing contract or be a guarantor. Be kind and flexible to the others. More exercises, but not too intense, Taiji, Qigong and Yoga are perfect. The year of the Goat is mindset, thinking, religious, regulations and philosophy sort of year. So general speaking Ox, Goat, Dog and Dragon will become more stubborn and insist their own believes. With the stubbornness it may cause a lot conflicts, arguments with others. So be more open minded to discuss with your spouse, partners, managers, bosses and colleagues and be open minded to listen to the others’ opinions. For female Ox, Goat, Dog and Dragon, giving birth in 2015 will reduce a lot of bad energy and troublesome. Do more exercises, be more active and think positively. For exercises, need to make sure there is sweating for every exercise. Donation of blood or having a blood test done in January and July will help reduce bad energy too. The following is a guide for each animal sign and their luck in the year of the Goat. It is a guide only. For more accurate reading, please seek professional Chinese Astrologers. Animal sign Goat will have a busy schedule, big pressure from every direction. Do not be too stubborn to insist your own principals, otherwise bad gossip will be around. Boss will watch closely at the Goat. Do not argue with colleagues, supervisors or the bosses. Be open-minded. Particularly Goat sign was born in the year of 1979, 1991. Take extra care with the diets. Eat healthily, more vegetables and fish. Try to avoid lamb and beef. Do more exercises. For exercises, need to make sure there is sweating for every exercise. If there are happy events such wedding of a family member, new born into the family, and having a big birthday party can reduce some bad issue in the year of the Goat. The animal sign Ox is having a clash with the year of the Goat. Clash means confrontation and changes. As the result, there will be big change for the Ox, like career change, job change, position shuffle school change, moving house or travelling. The Ox has a yearly star called “Da Ho.” which in English means “Big spending.” So for the Goat spend wisely. It is wise to buy something will be valuable in the future. Avoid risky investments. For the Ox, in the year of the Goat, if planning of travelling, avoid going to the South west direction. Since the south west direction is the Grand Duke direction which will increase the strength of the clash. Barack Obama was born in the 4th August 1961. He is an Ox. He is having a few clashes his chart. It is a tough year ahead for him. January and August are the months to pay more attention to his news. Beware of lawsuit in partnership with others particularly the 1988 born Dragon. It may happen in April, July and October. It is better to be conservative than aggressive. Keep all the ideas in your heart. Do not be presumptuous to give ideas. It is important to keep clam since there will be a lot of different ideas exchange with the Boss or colleagues. The dog has a penalty relationship with the Goat. (If an animal sign Dog born on the Ox day, it will be severer). This means that the Dog will be easily punished by their superiors or by the Law. Be very careful on what to say in public especially in July and January 2016. Easily break rules, like traffic rules and get fined. Avoid spicy or chilli hot food. Animal sign Rat will become much better luck in 2015 compare with the year of the horse. The bad gossips or lawsuit is going away slowly. The positive changes start toward the birthday month. However, the Rat in the year of the Goat will face severe competition or your customers taken by competitor without a trace. Luckily, there is a Nobleman year for the Rat. Health: Digestive system and Water system. Year of the Goat will be a busy year for the Tiger, particularly, the 1986 and 1998 born Tiger. They will have plenty of opportunities meeting new friends. For the married Tiger animal sign, beware of a third person coming to ruin your love life. Health: Digestive system, Eyes and Heart. There will be joint venture or cooperate with new partners. As a result, it brings in benefit to the animal sign Rabbit. There is a “White Tiger”白虎 star in the Rabbit’s palace. White Tiger is not a good star, so there may be a minor medical operation or caesarean section for female Rabbit if giving birth in the year of Goat. Wealth: Slow in the first half of the year, then much better toward the end of the Goat year. The animal sign Snake got a travelling star in its palace in the year of the Goat. As the name suggested, there will be a year of travelling for the Snake, such as business travelling, fly-in fly-out or leisure travelling. Health: eyes, blood circulation and small intestine. Major health issues, love agony and relationship problems if any started in the year of Horse will slowly stabilize. As the animal sign Horse combines with the Tai Sui (the Goat), it brings more positive opportunities and cooperation in the year of the Goat. Animal sign Horse can see some good outcomes in March, July and November. Health: Heart, blood and digestive system. There is a nobleman star for the Monkey in the year of the Goat. The “Sun” also comes to the monkey’s palace in the year of the goat. With these two auspicious stars shining in the year of the Goat. The monkey can expect a relatively good year of the Goat. If working Monkey, A male superior will look after you. If self-employ or running a business, can pick up good customers. Rooster sign is metal element, clashes with the Goat wood element. Also in the year of the Goat, the Animal sign Rooster has got a hidden “travelling star”. As consequence, the animal sign rooster has opportunity to travel, or moving house in the year of the goat. Female rooster sign, beware of violent or sexual harassment. The animal sign Pig’s luck in 2015 year of the Goat is very similar to the animal sign Rabbit as they both combine with the Tai Sui, the year of the Goat. There will be joint venture or new cooperate with new partners. As a result, it brings in benefit to the animal sign Pig.